MARCH 21, 2017 (CHICAGO, ILLINOIS) – Rockit Ranch Productions, the Chicago-based hospitality group behind local restaurant and entertainment concepts Rockit Bar & Grill, Rockit Burger Bar, The Duck Inn, Sunda, Bottlefork, Otto Mezzo and The Underground, is excited to announce its plans to take its first step in expanding to new markets with a Sunda location slated to open in Nashville this Fall at 592 12th Ave South in the heart of the Gulch. 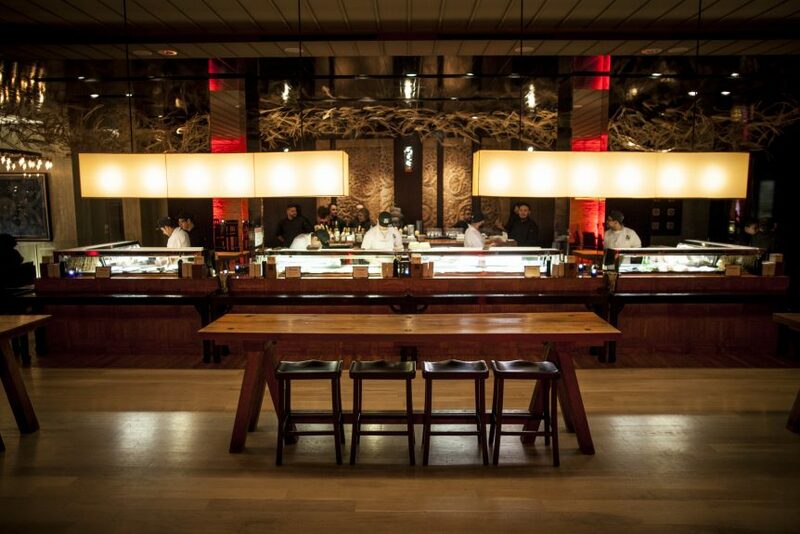 Sunda’s flagship Chicago location (est. 2009), which serves modern interpretations of traditional pan- Asian cuisine, is a local institution that has drawn accolades from several of the city’s top publications including The Chicago Tribune (#1 Celebrity Spot in Chicago”), Chicago Magazine (“Best Sushi in Chicago”) and Chicago Scene (“Best Asian Restaurant”). Mike Morales, current Chef de Cuisine & Partner at Sunda’s Chicago location, will serve as the new venue’s Executive Chef & Partner in Nashville. Sunda to the market in an almost 8,000 square-foot space owned by MarketStreet Enterprises, a privately held real estate development firm. For more information on Rockit Ranch Productions and its new Nashville venue, please visit www.SundaNewAsian.com. ABOUT ROCKIT RANCH PRODUCTIONS, INC.
Rockit Ranch Productions, Inc. from partners Billy Dec, Brad Young, Kevin Hickey, Doug Wexler and Nicole Salerno, is an award-winning restaurant and nightlife development and management company. Venues include: Rockit Bar & Grill and Rockit Burger Bar, both featuring an eclectic take on Modern American cuisine; The Underground, Chicago’s premier nightclub; Sunda, a New Asian venue serving modern interpretations of traditional pan-Asian cuisine; Bottlefork, a New American bar & kitchen offering dishes that feature locally-sourced, globally-inspired ingredients; and The Duck Inn, a pre- Prohibition era tavern showcasing New American cuisine and an award-winning cocktail program. For more information, visit RockitRanch.com or find us on Facebook, Twitter and Instagram.